Recently, my wife and I went out for breakfast after we dropped my daughter off at school. We went to a new restaurant that my wife had heard about but neither of us had visited before. We found the place and grabbed a seat and we waited. After a while, I realized it wasn’t the kind of place where someone came to welcome you or give you a menu, even though the concierge and a few other employees saw us walk in. Nope, it was up to us to know what we wanted and to know where to order our food, without help from any signs. It was a place for insiders only—others who entered after we did knew just what to do. My wife and I left before ordering anything, and I couldn’t stop thinking about how unwelcome we felt—and how some youth ministries might send students away with this same feeling. 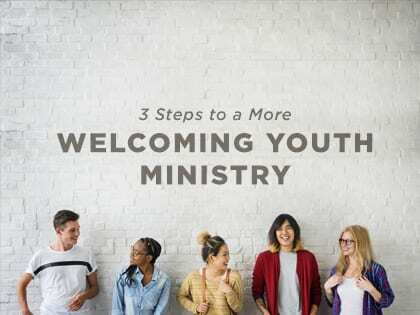 How welcome do you make students feel when they come to your youth ministry? Is your youth ministry only for insiders, or do outsiders feel like they belong, as well? 1. What do they get? When new students come to your ministry, what do they get from you or your team? You should have a bag or a form ready for them to receive once they walk in. This shows them that you were thinking about them before they showed up, that you prepared for them before some of them even knew they were attending. There is nothing that says “welcome” like a card or a packet that has information in it just for you because you are new to the ministry and the service. When new students come to the ministry, do they go in the room with everyone else, or is there a special place set up for them to hang out for a few minutes before or after the service where they can get their bag or card? There should be a special guest room for students where you can give them something and have some assigned leaders welcome them and answer any questions they might have. Nothing makes someone feel more welcome, I think, than being acknowledged as a guest. Remember the restaurant my wife and I visited? When we walked in, the concierge didn’t acknowledge us at all. When we locked eyes with another employee, all they did was smile. This didn’t work for us, so we left the restaurant. Honestly, we just needed to hear a simple, “Welcome. 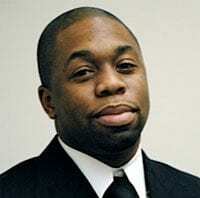 Here is what you can order.” When visiting students come to your youth minister, they are looking to hear you acknowledge them and express your interest in them. You should have a moment in your service where new students are acknowledged. Students who are outsiders should be quickly welcomed as insiders in the youth ministry, and there are some easy steps to make sure this happens. If they feel unwelcome, they might leave the ministry and never return. What would you add? What did I miss? How do invite students who are outsiders to become insiders?